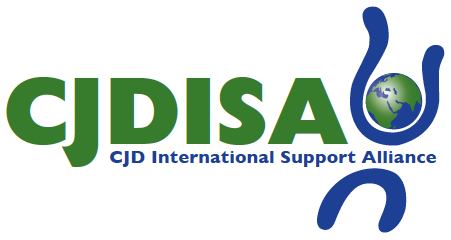 The following summary was requested by the CJD International Support Alliance. As such, it is written for a lay audience. The research has been oversimplified in an effort to help people understand it without a biochemistry background. This article relates to a paper published by Jesus de Pedro Cuesta and colleagues in the Journal of Neurology, Neurosurgery and Psychiatry, which suggest that there is an increased frequency of some types of surgery in cases of sporadic CJD, particularly surgery more than 10 years in the past. This is therefore an article of significant interest as the implication is that some cases of apparently sporadic CJD may actually be caused by infection at the time of past surgery. As with any scientific finding it is important to consider the data presented in this paper in the context of previously published information. Most of the surgical procedures that were associated with increased risk in the paper involved tissues that are not known to contain significant infectivity in sporadic CJD and the authors established that the risk was not related to blood transfusion at the time of surgery. There is therefore no clear means by which the surgery could have been associated with spread of infection. Past evidence that a small number of cases of CJD were infected by neurosurgical instruments depends largely on cases of CJD being operated on in the same hospital and around the same time as the cases that were infected by the contaminated instruments. In the paper by Jesus de Pedro Cuesta no such link between the cases undergoing surgery was found, again raising the question as to how the supposed cross infection happened. There have been many previous studies of surgery and sporadic CJD and no consistent evidence of a risk through past surgery has been found. All these studies have recently been reviewed in a paper written by Jesus de Pedro Cuesta and colleagues, which postdates the article under discussion (Sensitivity to Biases of Case-Control Studies on Medical Procedures, Particularly Surgery and Blood Transfusion, and Risk of Creutzfeldt-Jakob Disease Neuroepidemiology 2012;39:1–18). Many countries have established formal advice on managing CJD in the health care setting and this includes surgery and surgical instruments. The UK and Australian guidelines do not suggest any special precautions in relation to surgery in sporadic CJD except for procedures that involve for contact with tissues that are known to contain significant infectivity and this mainly means brain or eye surgery. To our knowledge there has been no change in the recommendations in any country following the publication of the article under discussion. The title of the article by SL Baker is confusing because of the mention of ‘mad cow ’ as the paper by Jesus de Pedro Cuesta relates only to sporadic CJD which is not linked in any way to BSE or mad cow disease. In fact studies of the human disease caused by BSE, variant CJD, have not shown any increased risk through previous surgery. In conclusion, the balance of evidence continues to support the hypothesis that sporadic CJD occurs because of a random change in prion protein in the brains of affected individuals and that there is no external source of infection. However, the paper by Jesus de Pedro Cuesta and colleagues is a stimulus to continue the detailed study of sporadic CJD in order to assess potential routes of infection in individual cases and to ensure that data is available to assess new hypotheses as they arise. Further comments and clarification of this summary at the Facebook page of CJDSGN.